This school year has been flying so quickly and I can hardly believe it. 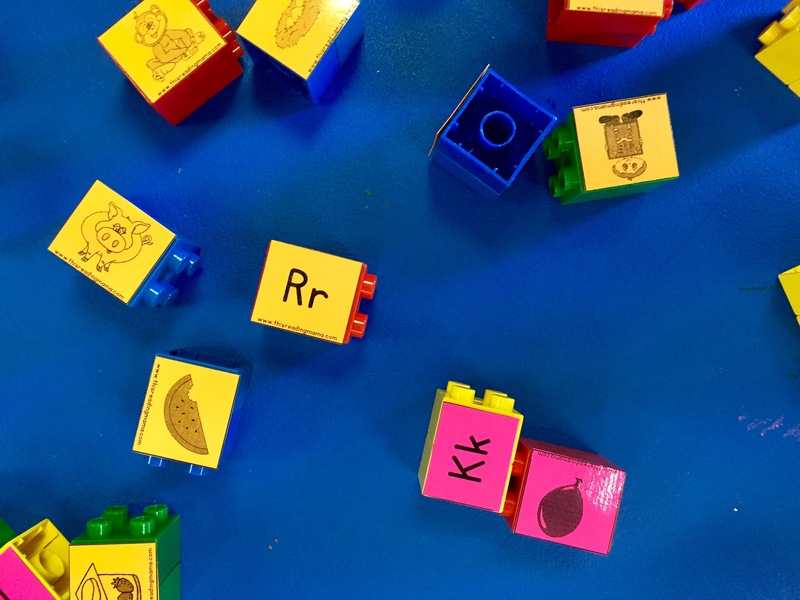 Today, I thought I’d share a few of my favorite hands-on, easy and cheap preschool center activities to help kids learn the basic skills they need in order to be prepared for kindergarten. I think it’s really important to keep the kids moving and engaged, so we are always on the hunt for activities that fit the bill. 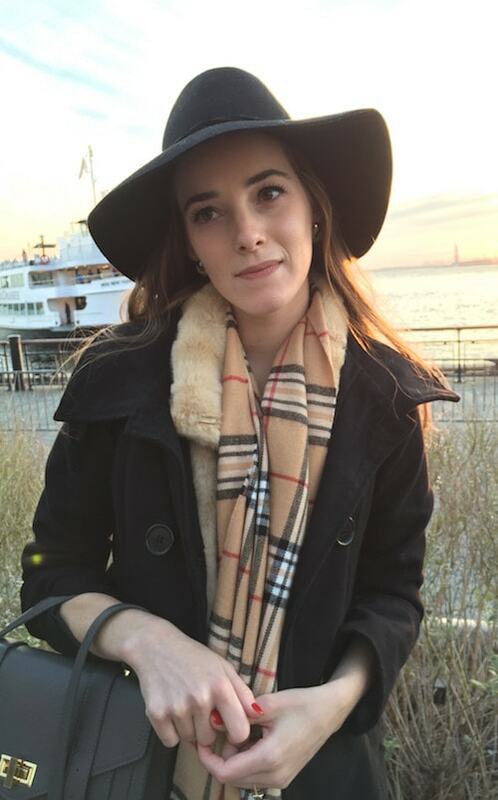 I’ll also post a couple of great resources I’ve found along the way! 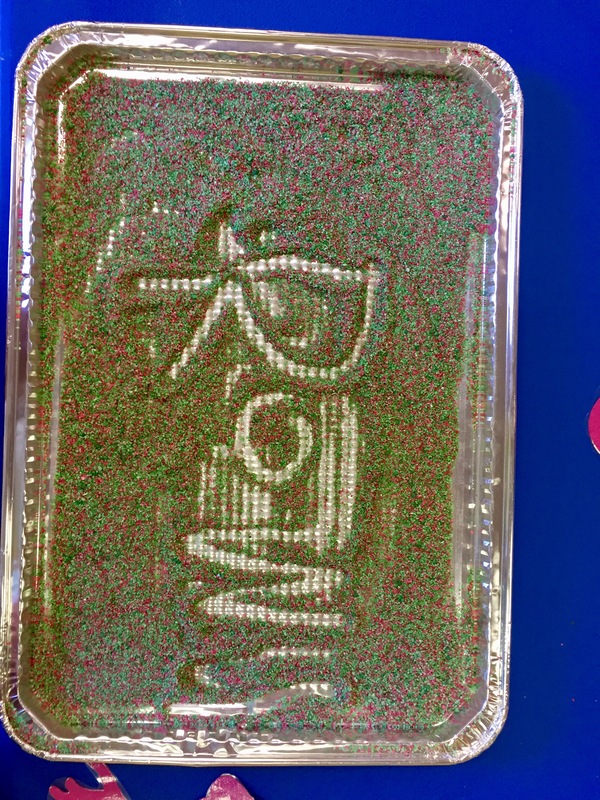 Cookie sheets can be found for a dollar at the Dollar Store or Dollar Tree. 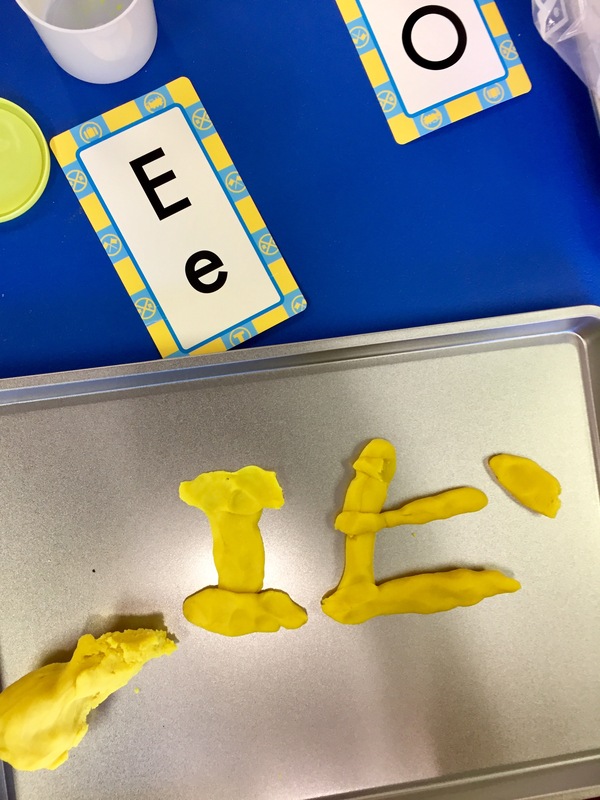 I use regular letter cards and Playdough to help the kids learn letter recognition/formation while working on fine motor skills. Playdough is not just a fun activity for kids, but playing with it actually helps strengthen their hands, which is needed in order to have proper pencil grip one day. This is one of my favorite games and my kids love it too. I found this free printable, printed the letters on card-stock, laminated them and taped them to LEGOS. The kids have to match the beginning letter sound to the correct picture. They’re building and learning letter sounds. This one is great sensory activity while also teaching fine motor skills. 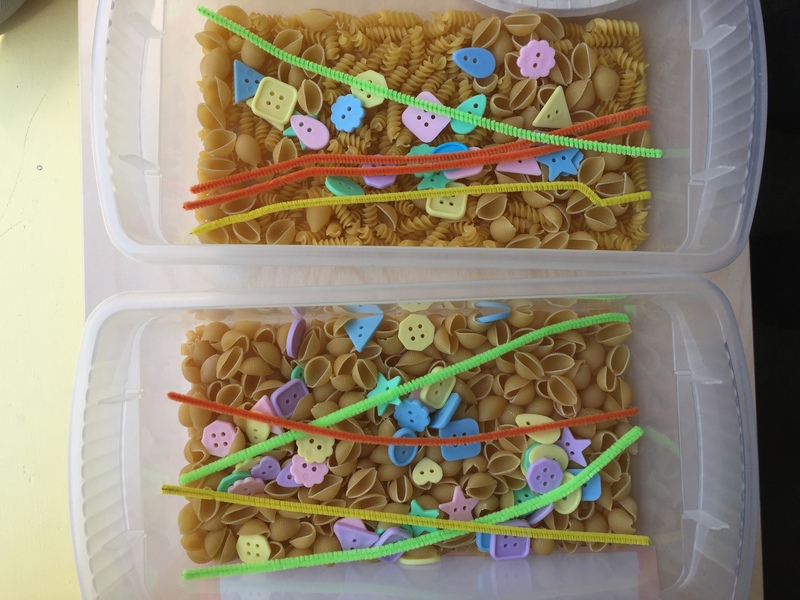 You give them a bucket of rice or pasta, fill it with buttons and have them thread the pipe-cleaners. It helps with hand-eye coordination, as well. I also found these at the Dollar Store. They came in a pack with 2-3 aluminum pans. They’re bumpy on the bottom, so the kids like the texture of practicing tracing their name in sandy on these pans. During our vowel studies, we read the Chicka-Chicka-Boom-Boom book and made a headband to go along with the story. 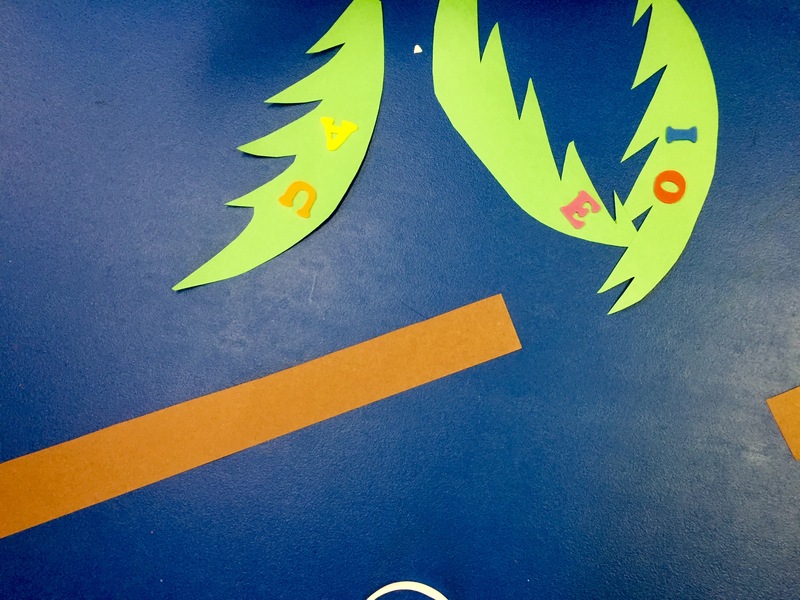 We found felt vowels, cut out a green leaf pattern and made a headband out of brown paper. The kids loved them! I love this game because it’s a sensory activity and helps with their counting skills. 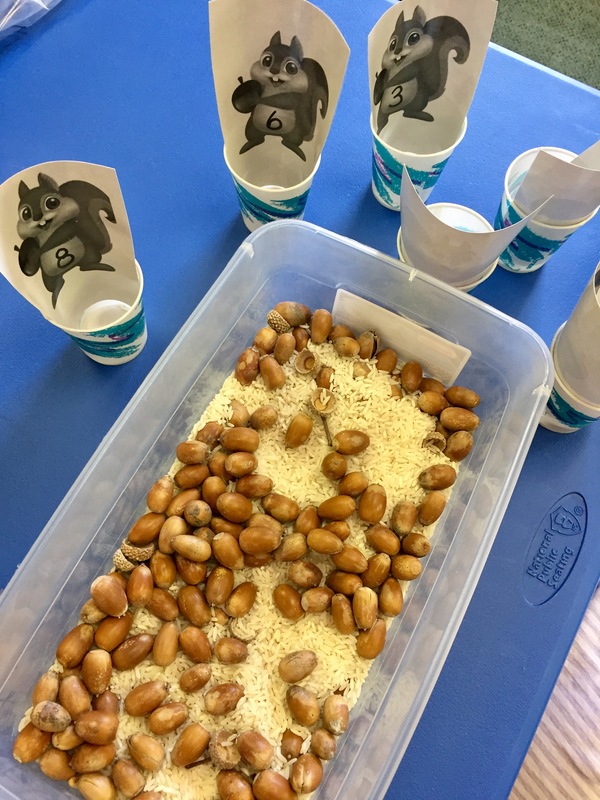 We used plain old paper cups, printed out pictures of squirrel holding a number and the kids simply have to place the correct number of acorns in the cup. 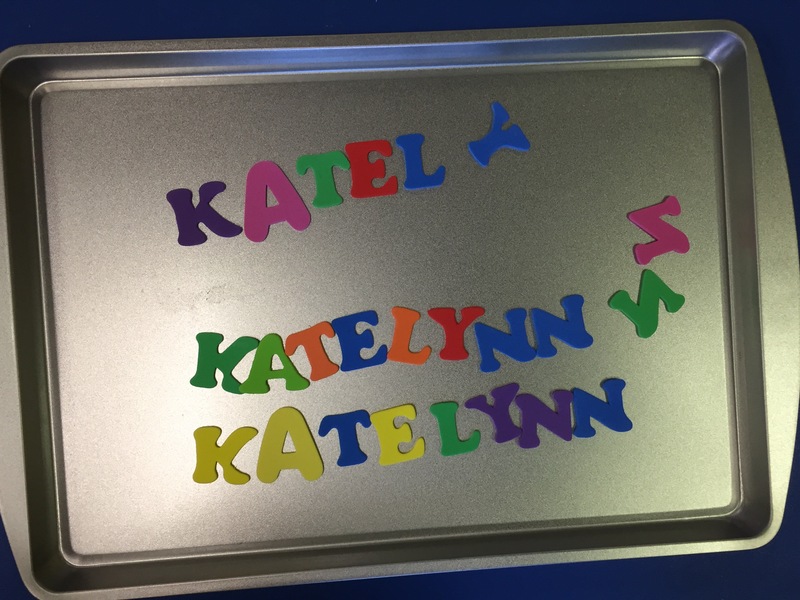 Another great way to teach their names and use a cookie sheet is to use foam letters. The kids are given a bag with all of their letters and they have to go spell their name out on the cookie sheet. 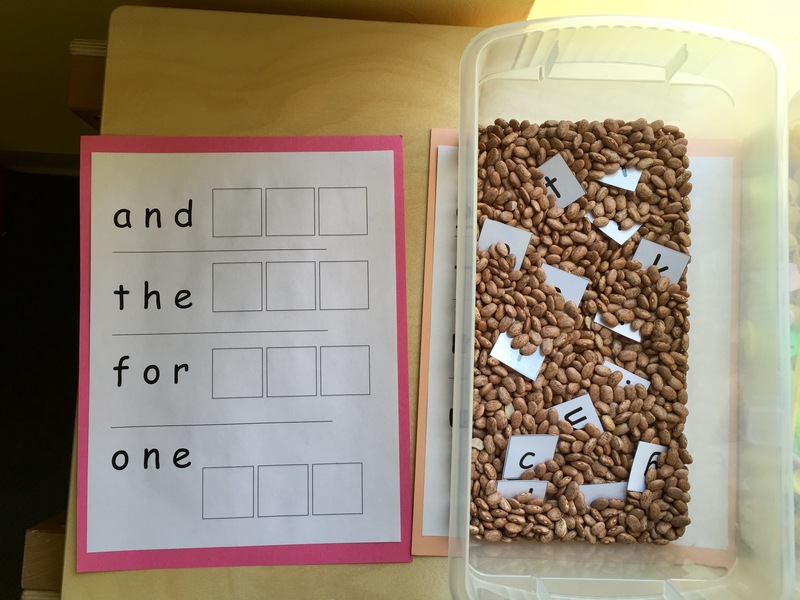 Sight words are a huge part of early childhood and elementary school, so we created these laminated sheets of sight words that we are covering in class. The kids have letters in a bin and they have to spell out the sight words. 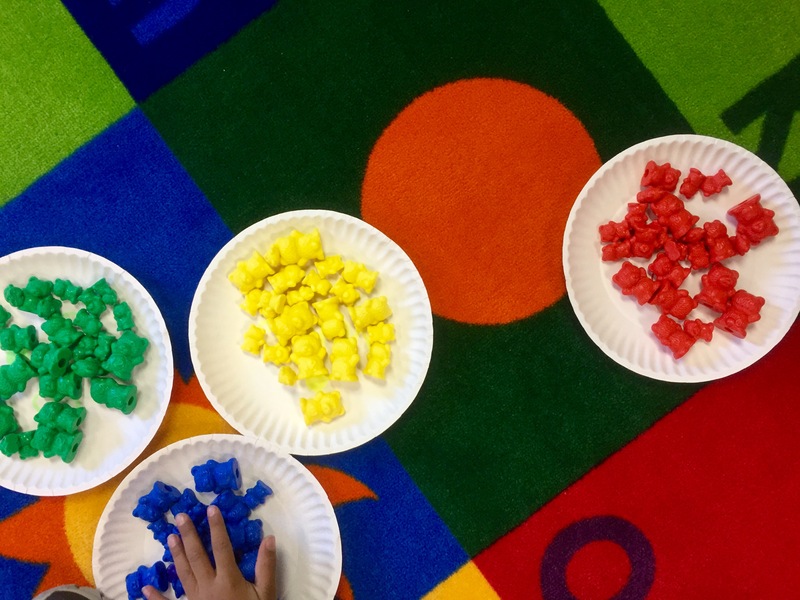 The classic manipulatives, like these colorful bears are perfect for so many things. I love just giving the kids a paper plate with color words or numbers on them and asking them to sort all of our bears. They love doing it and I don’t think they know they’re learning some really important skills. 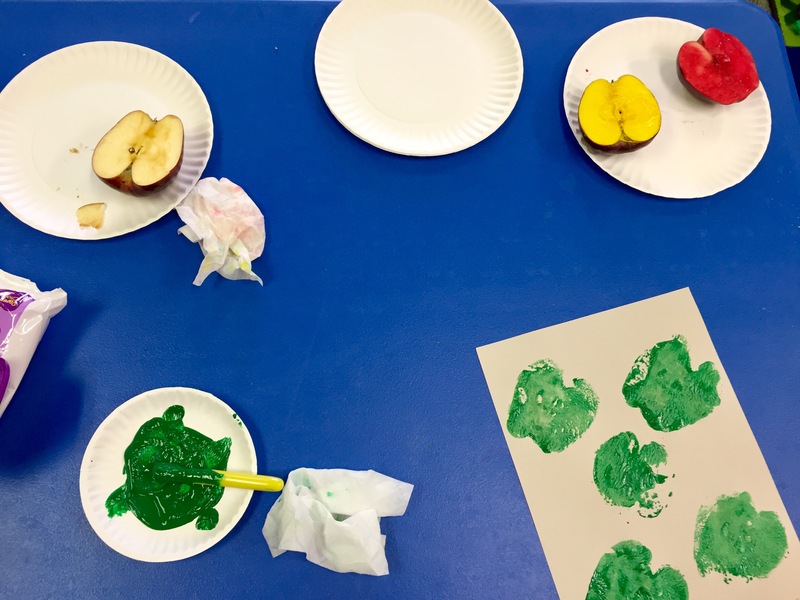 One of the cutest fall crafts is painting with apples. They say it’s one thing to tell a child about an apple, but it’s another to actually let them play with it and create with it. I think it’s really important to bring “real” things into the classroom, especially things you find in nature. We created the cool project in the next photo with these apple stamps. 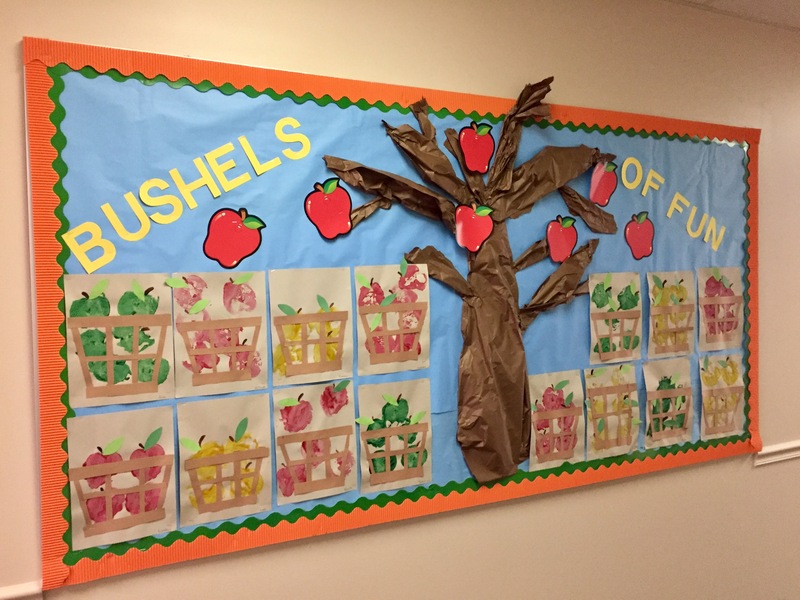 Our fall bulletin board that was created with our apple stamping projects. Happy teaching and crafting with your kiddos!